Our Burnley store is Holland Hydroponics second biggest store which opened back in 2003. 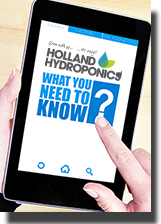 Holland Hydroponics in Burnley holds a wide range of hydroponics equipment to suit your indoor gardening needs and will always try to obtain any item for a customer who requests it. Our friendly expert staff will be happy to answer any questions you may have and are always on hand to help you make the right choice when it comes to your specialist gardening needs. Holland Hydroponics in Burnley also has a large private car park.